I’ll go ahead and admit I’m probably the pickiest person when it comes to finding a pair of sunglasses that fits or, in my mind, looks good on my face. The main problem I run into is searching for a frame that does not make my nose look any larger than it already is. Oversize round frames? Not for me. Super-tiny (Kanye West–approved) round rims? Not my thing. The one style I’ve found that does flatter my face and nose shape is a frame with a cat-eye. The sharp edge in a way elongates my face and distracts from my good ol' Italian nose. 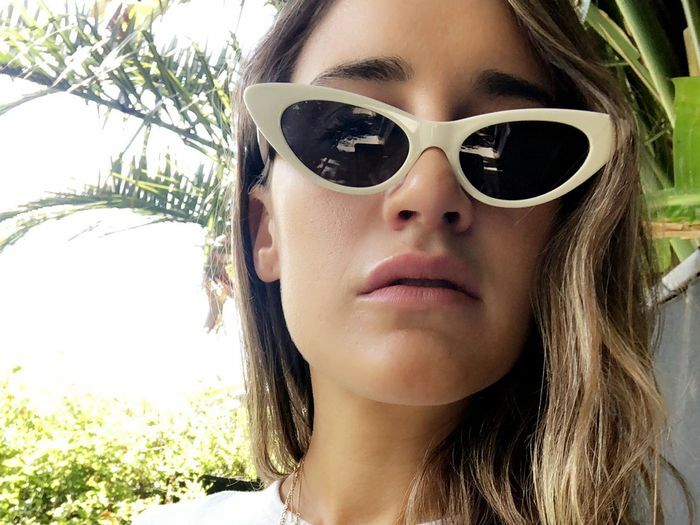 The other thing I’m known for when it comes to wearing sunglasses—and a trick that I think makes my nose look slightly smaller—is instead of wearing my sunglasses super close to my face, I wear them almost falling off my face. I know, sounds ridiculous, but these little tips work for me and make me feel one step closer to having a cute little button nose. As you can see in the photo above, I never wear my sunglasses fully “on,” and in my crazy mind, it makes my nose blend in a bit more particularly in photos. The pair I’m wearing is from Crap Eyewear and is my absolute favorite right now. I can’t even tell you how many people have complimented or commented on them. I hope these two tips help anyone looking for flattering and unique sunglasses. 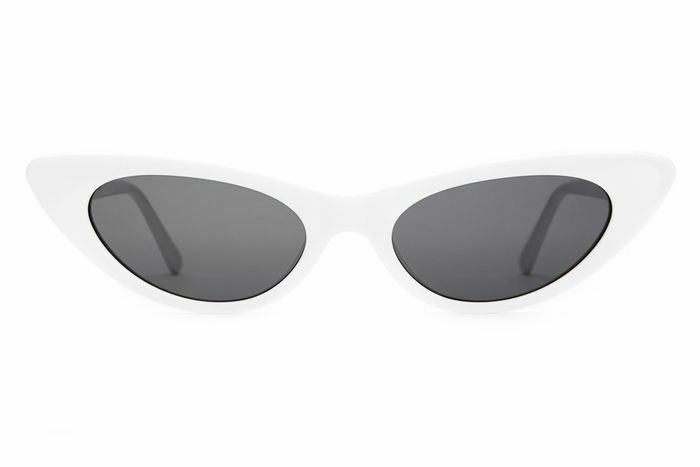 Shop all the cat-eye sunglasses that have passed my very picky test. Complete your summer shopping checklist and shop the swimsuit brands I recommend to all my friends.